Even if you want a luxury brand car, you can find many affordable rates that will make this a possibility for you. When comparing specials between Acura lease deals and Mercedes lease deals, it’s important you research what the terms are of both and which one will be more beneficial for you. 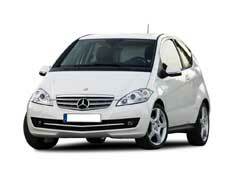 For those looking to lease a Mercedes vehicle, here are the best Mercedes lease deals online. 1. The first website you will want to visit is Mercedes as they list all of their specials. This is a great tool for buyers as you can view details of each of the Mercedes lease deals to see which one would be better for you. 2. The Lease Outlet is a great website for those looking to get a luxury car brand. What’s great about them is they can customize terms based on your needs. Therefore if you would want a short term lease on a Mercedes this is a great site to visit. 3. Lease Trader is a website where buyers can take over an existing lease. Typically what has happened is the seller couldn’t afford the payments anymore and have decided to find someone to assume the rest of the term. While there are some benefits to this like not having to pay documentation fees or a downpayment, it’s important to understand all the terms involved with the existing lease and make sure it’s something you can fulfill. 4. Automotive.com offers a wide variety of terms including two to four year contracts. Additionally, they have many resources on their site to help you in the car leasing process like crash test ratings and other performance tests so you can feel confident in knowing everything about your new ride. 5. Lastly, your local dealer’s website is a good place to see what Mercedes lease deals are available. You can also browse their inventory to see which models they have in their stock as well as see what the terms and conditions are for their specials.